Today, life can be very fast-paced, isolating and challenging. There can be obstacles in your path that are not easy to deal with and that seem insurmountable, at least from your current perspective. Counselling at Philippe Jacquet & Associates offers a solution to these problems in a confidential, safe and comfortable setting. Having an experienced, professional counsellor to speak with will allow people of all ages to explore the problems, issues and challenges in their life and develop effective options for moving forward. Some may have challenges in letting go after a death or the loss of something in their life. Other people may be struggling with depression, fears, addictions or adjusting to changes that may have occurred in their personal or professional lives. Counselling appeals to many individuals as it provides a short-term approach to addressing immediate and future problems for the client. While there is a focus on understanding the issue that is causing the discomfort or mental and emotional distress, the focus is on moving forward and developing new, healthy coping mechanisms to break out of the negative thought cycle that is holding the individual back. All counselling offered by Philippe Jacquet is confidential and bespoke. Each client will meet with Mr. Jacquet and a treatment plan will be developed. The client is involved in this process, identifying areas of concern and focus throughout the counselling sessions. Mr. Jacquet will work with each client to take a very personal and deep look at the thoughts that are driving the problematic behaviour. In some cases, these are old negative thoughts that may have been present from childhood that are harming self-esteem and feelings of self-worth and accomplishment. In developing an understanding of the thoughts that are holding the client back, there is also the option to develop healthier, accurate and positive thoughts and behaviours. Moving from a place of resistance and feeling stuck to exploring possibilities to move forward is a very uplifting and freeing experience for clients. The counsellor provides a structure for this personal exploration as well as assists the client in exercises, discussions and ways to consider moving forward once an understanding of the cause of the problem is identified. While providing suggestions, the client will also be involved in determining and selecting the coping mechanisms and new thoughts and behaviours that are the ideal match for their life. 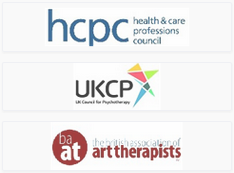 Unlike other counselling services, Philippe Jacquet & Associates uses a holistic and bespoke approach to this process. There is no single approach or methodology used in the sessions, but rather a customised plan is developed between the client and the counsellor for meaningful, effective change.